As many of you know, Sigma has been working to provide certain products individually. In particular, eye shadows and brow essentials will be the first items available. 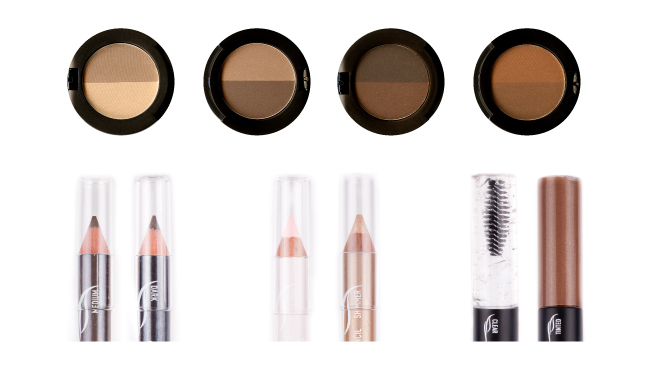 Today we are giving you a sneak peek at all of the individual shadows and brow products that are set to launch next week. Keep reading for further details! Collection Status: Permanent and will continue to expand! What: From the Beauty Expert – Brow Design Kit: The Brow Pencil (medium/dark), Highlighting Pencil (matte/shimmer), and Brow Gel (clear/tinted). Items will be available for purchase via the Sigma website on January 21. Come back and visit the Affiliate Blog on Monday, January 21 for more information and promotional material for this exciting product launch! :) We are very excited about this launch! Beautiful! I can't wait for the individual shadows!!! Olá eu gostariade fazer parceria com vcs !